신라 56대 마지막왕인 경순왕(재위 927∼935)의 무덤이다. 927년 경애왕이 포석정에서 놀다 견훤의 습격을 받아 시해된 후 견훤에 의해 왕위에 올랐다. 전쟁으로 인해 백성이 많은 피해를 입자 군신의 반대를 무릅쓰고, 935년 평화적으로 신라를 고려에 넘겨주고 왕위를 물러난 신라 마지막 왕이다. 무덤의 높이는 약 3m, 지름 7m의 둥글게 흙을 쌓아올린 원형 봉토무덤으로 판석을 이용해 둘레돌을 돌렸다. 고려시대 왕릉에서 나타나기 시작한 담장인 곡장이 둘려져 있어 고려 왕실에서 왕의 예로서 무덤을 만들었음을 알 수 있다. 신라 왕릉 중 유일하게 경주 지역을 벗어나 경기도에 있다. 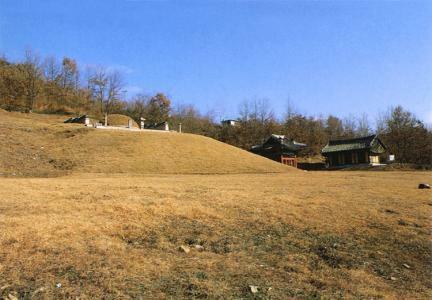 This is the tomb of King Gyeongsun (reigned 927-935), the 56th and last king of Unified Silla. 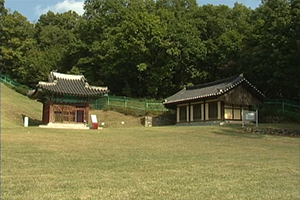 After King Gyeongae's assassination at Poseokjeong Pavilion in 927, he gained the throne largely through the assistance of Gyeon Hwon, a leading general of Silla who later became king of Later Baekje. 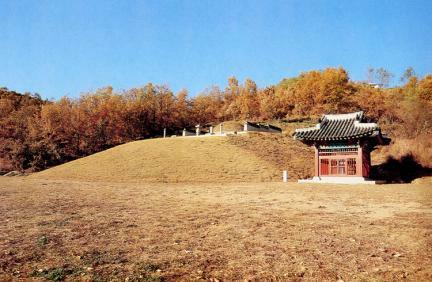 With Silla devastated in a series of wars, King Gyeongsun decided in 935 to give up his sovereignty to Goryeo despite the opposition of many subjects. The tomb is about 3m high. 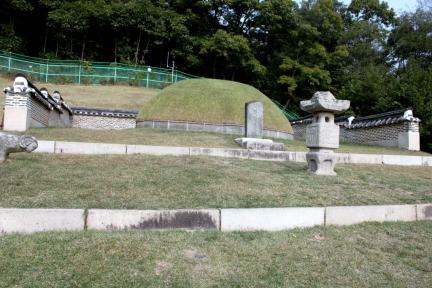 It is a circular mound tomb with a diameter of 7m. 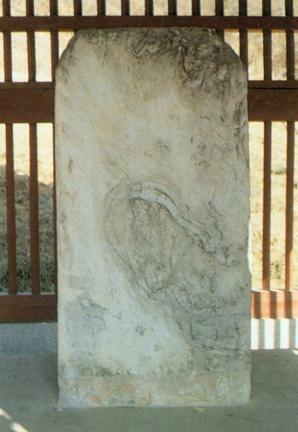 Square stones are used to frame its edges. 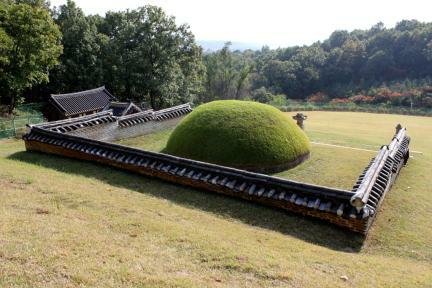 Gokjang, a kind of low fencing wall that began to appear in the royal tombs of Goryeo, is drawn around the tomb. 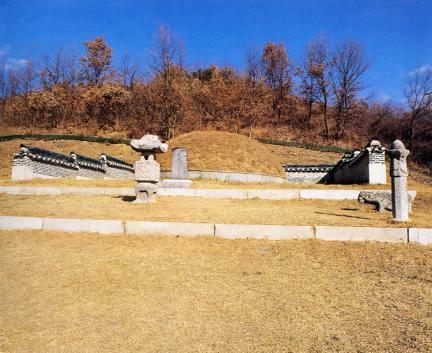 This indicates that the tomb was made by the royals of Goryeo as a way of showing respect for the former king of Unified Silla. 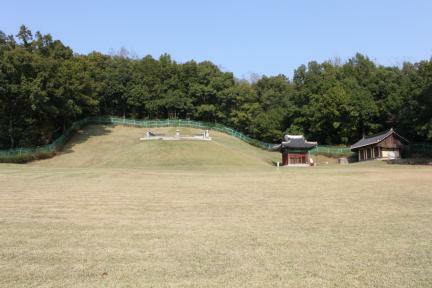 Of all Silla royal tombs, only this one is located outside Gyeongju, in Gyeonggi-do.